Greg Steltenpohl was a pioneer of the "whole foods" movement in the 1980s. But he almost lost everything after his first company faced a major corporate crisis. After creating not one but two highly successful natural drinks companies, Greg Steltenpohl is "not one for regrets". However, the former jazz musician does rank the sale of his first business, Odwalla, to Coca-Cola back in 2001 as a "pretty big disappointment". 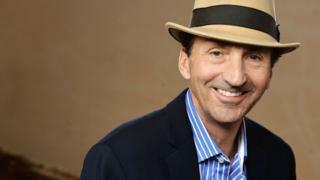 He co-founded the firm, now one of America's best-known juice and smoothie brands, with some friends back in 1980, simply as a way to support his career as a musician. It became an early pioneer of the "whole foods" movement, priding itself on its all natural ingredients, quirky branding and independent ethos. "I'm not evangelising against 'evil corporate empires'," the genial Californian says over coffee in London. "But these big firms tend to target smaller ones like Odwalla because they can't innovate those ideas internally. "The problem is they end up destroying what make those brands unique." Whereas Mr Steltenpohl's first company was launched at time when natural and organic foods were a novelty, the sector is now well established, with industry-wide sales of $69bn in the US alone last year. However, Mr Steltenpohl says big corporations have been "jumping into" the whole foods market, and smaller companies like his face competition. "They have much better supply chains, distribution and marketing. At the moment we're just a fly on the back of an elephant." He and two friends moved to Santa Cruz, California to seek fame and fortune with their "avant garde jazz" band The Stance. But they quickly ran out of money. "We were broke and we weren't that good! So I came up with this idea that we could squeeze fresh orange juice every morning, sleep during the day, and play music all night." The juice company took off, and the music tapered out. Under the brand Odwalla - named after a song by experimental jazz group Art Ensemble of Chicago - the trio started selling to restaurants and health food shops, but were soon stocking grocery stores across the US. A child died and scores were sickened after drinking a batch of the firm's apple juice; Odwalla had to issue a huge product recall, and its sales dived by 90%. Jeffery Kline, editor of drinks industry website Bevnet, says Mr Steltenpohl has been "very open about how painful the experience was". Mr Kline adds: "People in the industry believe Greg acted respectably throughout the crisis. And he never talks about it in terms of what he went through, but in fact what an incredibly devastating impact it had on others." Within two years Odwalla had rebuilt its reputation, thanks in part to its loyal customer base. The problem, says Mr Steltenpohl, was the new backers wanted a "quick return" on their investment by selling the firm. "In hindsight I think we could have found investors who shared our values and stayed independent. But we had to move fast to protect people's jobs." Not long after Coca-Cola swooped, and Odwalla soon "lost its ethos", he says. "We were a local brand, but Coke shut our plant and shifted the main staff to Atlanta. It also replaced the key managers with their internal people who all had two year rotations, and you can't run a passion brand that way." A spokeswoman for Coca-Cola says it is keen to nurture new brands, and Odwalla remains an "important part" of its natural health drinks portfolio. He now wants to keep Califia Farms "independent" for as long as possible. But is that realistic? Phil Howard, an associate professor at the Department of Community Sustainability at Michigan State University, says that only a "small number" of values-driven firms manage to stay independent and be successful. "As big distributors and retailers consolidate it becomes difficult to compete, so many smaller firms sell up to multinationals," he explains. "And a lot depends on the small firm's ownership structure, for instance whether they need to repay investors." Mr Steltenpohl says he is determined to strike a better balance between keeping the firm on track, and upholding his "starry eyed" ideals than he did at Odwalla. "It is partly the fault of the business media and business schools," he says, "but we tend to celebrate a firm's growth and quarterly reports above all else. "But wouldn't it be great if we were saying, 'Wow, they managed to stay independent for 20 years, stayed true to their values, and they grew their sales too.'" Can ethics help your luxury business live forever?